Let V.H. Energy design a solar system for your needs. Want to become energy independent? 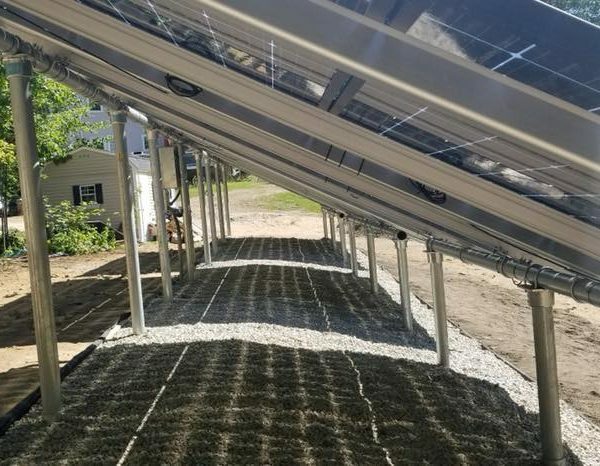 When you have a residential or commercial solar system that you want designed professionally and installed promptly, look no further than V.H. Energy. Each system is crafted by a certified electrical engineer and installed by our crew of qualified and experienced electricians. If you want to learn about how we can custom-build a system for you, schedule a free consultation, and we will arrange a time to meet with you at your home or business. Each system is crafted by a certified electrical engineer and installed by our crew of qualified and experienced electricians. This was an easy decision for me. After seeing my business partner's solar project done by Vlad, I was impressed and excited to start my own solar project with him. Vlad is easy to communicate with and thorough when explaining the process. I would suggest anyone that is contemplating a solar project to talk with Vlad before making a decision. Thank you V.H. Energy! Very excited in going solar thanks to the efforts of Mary, Andy, Vlad and John! They are extremely dedicated, skilled, hard working and articulate folks. Theirs is beyond a "business"... it is a vocation. Thank you V.H. Energy! I am pleased to give Vlad and V.H. Energy my highest recommendation. He did a great job from start to finish, with minimal disruptions to my household. Everything was done professionally and looks very impressive. He even showed me where I had some soft spots on my roof that I didn't notice that could have become a problem in the future. Vlad and his crew took care of the problem for me immediately for a minimal cost, and without me having to seek out a roofing contractor to price and fix it; which could have held me up for a while during my solar install. Because he did this, I was generating solar power and dropping my electric bill that much sooner! He also took care of all the paperwork, advised what I needed to do to receive any rebates and put me in touch with the correct people for selling any energy credits. He set up my online dashboard so I can see how much power my system is generating at any given time, including the history since the time of install, and how much power each panel produces individually, as well as collectively. Vlad, unlike other contractors, didn't give me the taillight warranty. I have had questions since the install, and he has always been quick to respond and give me the correct answers. I was so impressed with how he did business that I told my boss about him, and he had Vlad check a problem he was having with his solar system instead of using the company that originally installed the system take care if it. Vlad found the problem and fixed it at no charge, unlike what the original contractor was willing to do. When my boss decided he wanted to add more panels to his company's building, he knew Vlad was the right person for the job and has been his installer ever since. The bottom line is, if you are seriously considering installing a solar system, Vlad and V.H. Energy are the right people to do it!